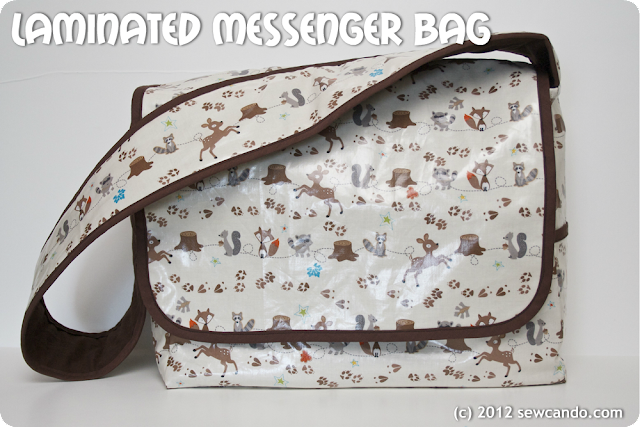 I love versatile bags and today's messenger bag tutorial is just that - VERSATILE. 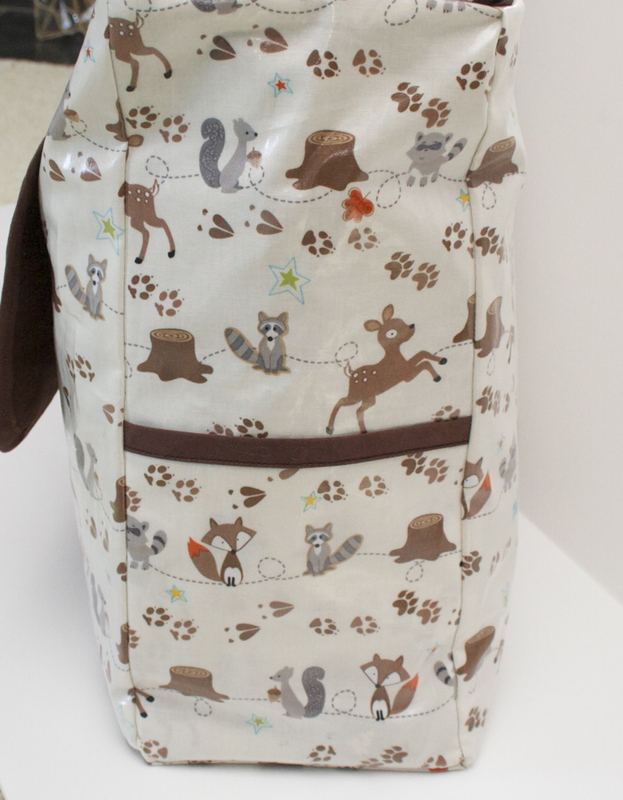 Great for use as a diaper bag, computer bag, book carrier or overnight bag. Using a good stabilizer gives it great shape and structure with too much bulk. With a laminated cotton outer fabric it's easy to keep fresh looking too. Padded inner pockets let you carry things large and small and keep them all organized. 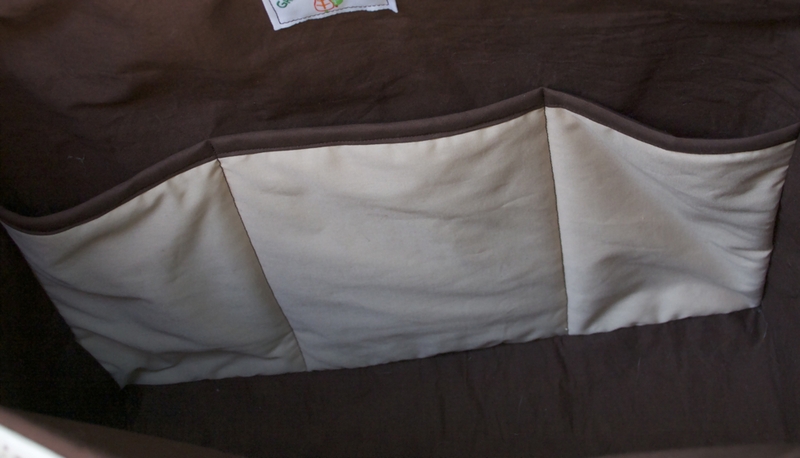 And with two easy access side pockets on the outside, there's even more handy storage. 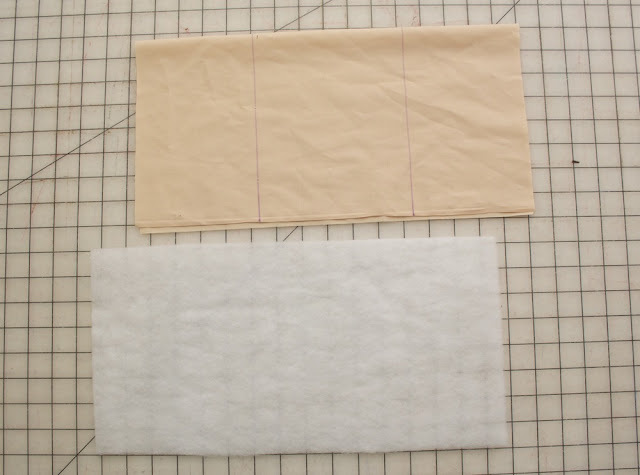 Now if you're unfamiliar/nervous about sewing with laminated cotton, this is the tutorial for you. 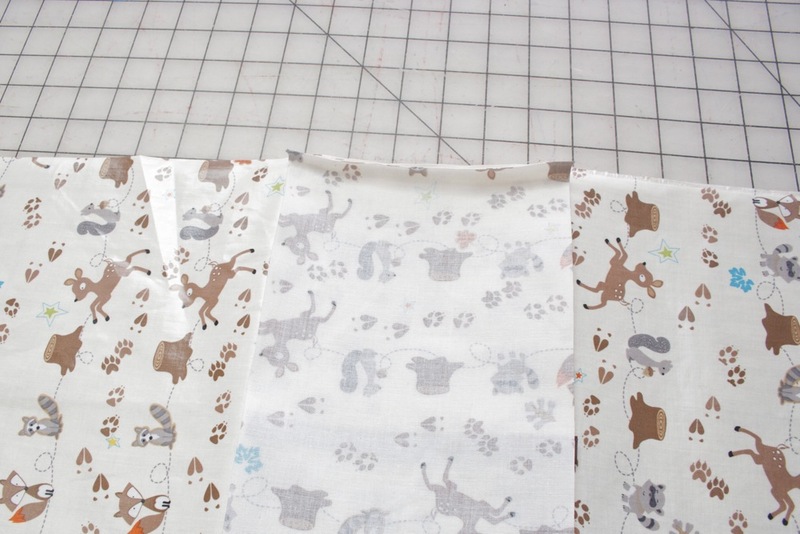 With no top stitching required, sewing this fabric is a breeze. I promise!! I bought this fantastic laminated cotton from one of my sponsors, Just Laminates, and knew it would be perfect for a bag. 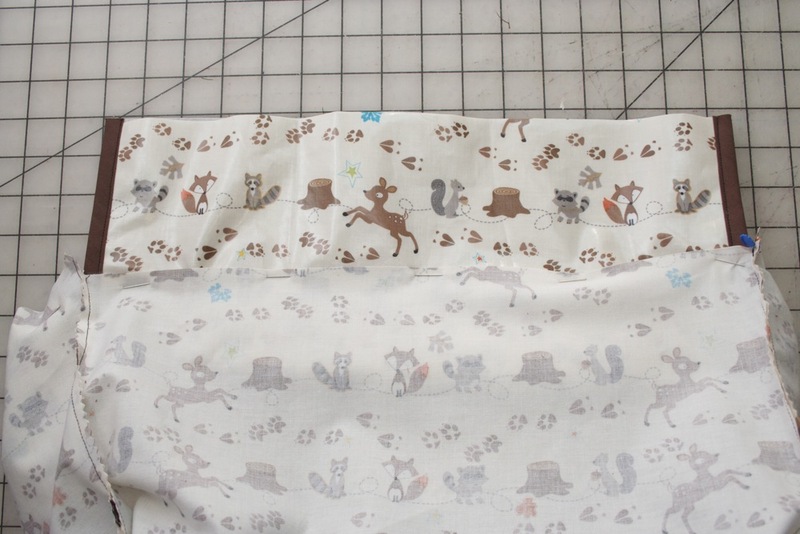 It's Riley Blake's Fox Trails and I just love it. It's whimsical, but has a style that works for both kids and adults. 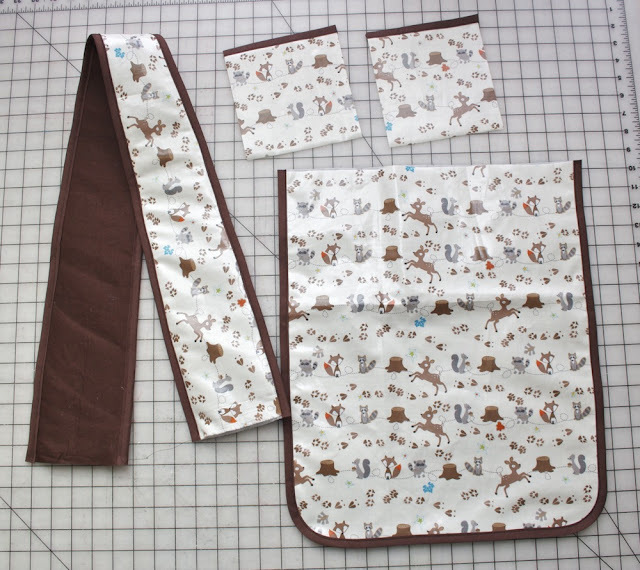 I'm currently using mine as a diaper bag for my 2yr old, but when she no longer needs it I can totally snag it for myself;) Want to make your own? - Flap Piece 15"w x 18"h (cut 1 outer fabric, 1 lining, 1 fusible) To curve the bottom corners, use a glass or small plate to trace a curve shape and then cut. 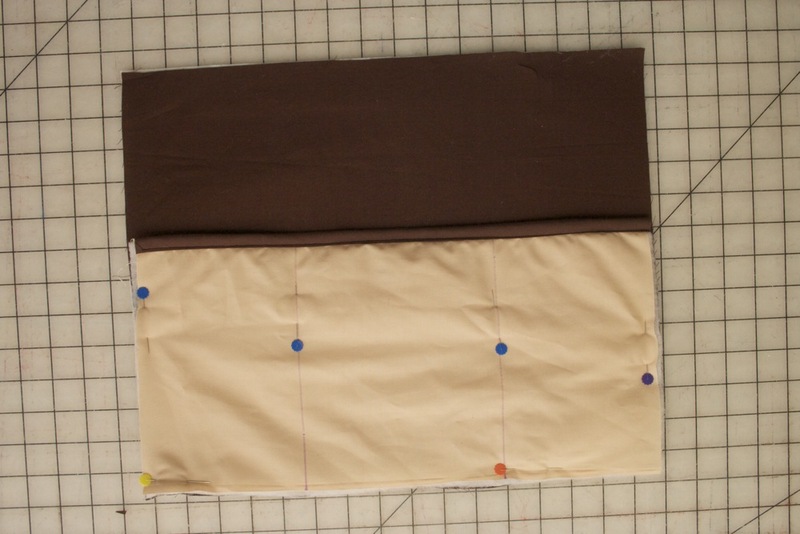 Step 1 - Fuse the stabilizer to the wrong sides of all the brown pieces. Set aside. 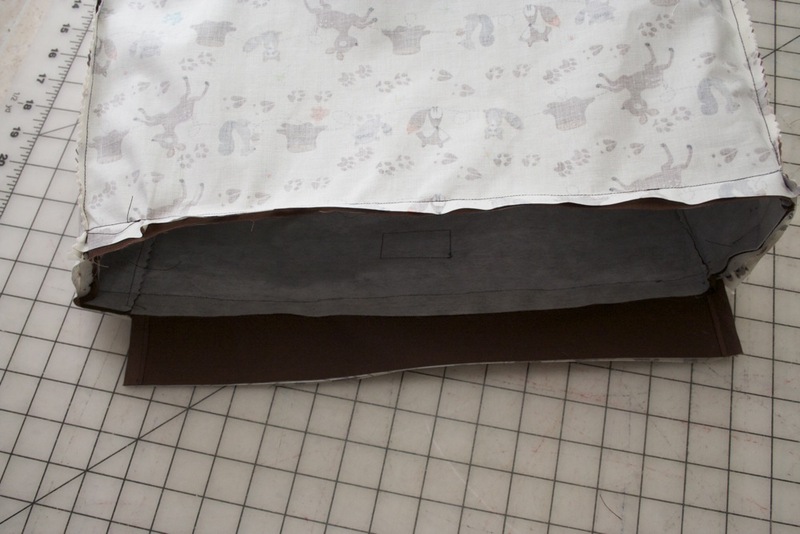 Take folded inner pocket fabric and measure inward 5 inches on either side. Draw lines downward with marking pen. Insert batting into fold. 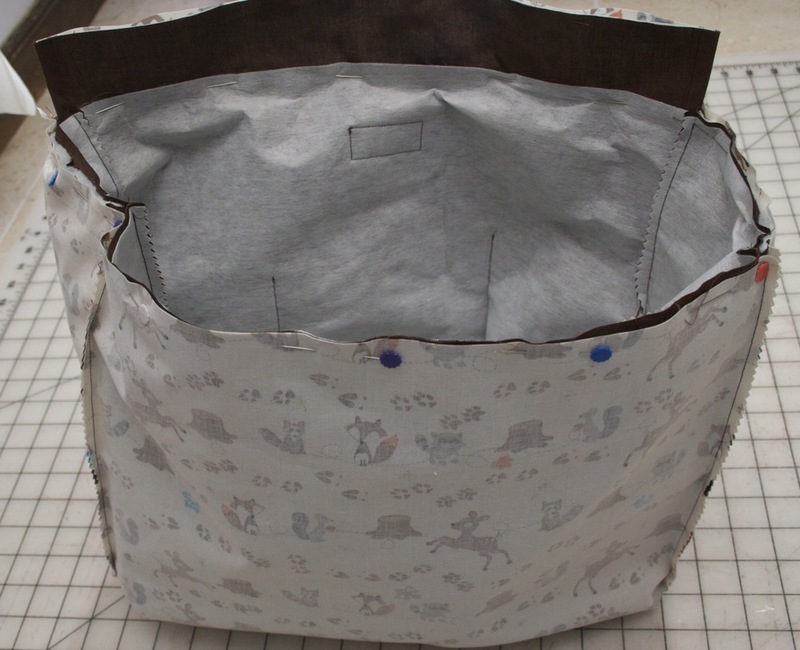 Encase the folded end into bias tape and stitch in place. Step 5 - With right sides facing stitch a side piece to either long side of the bottom piece with a .5 inch seam allowance. 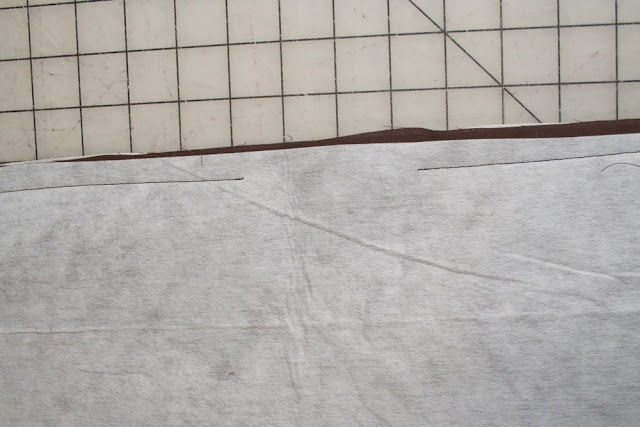 Repeat with lining, but leave a 2 inch gap in the middle of side without inner pocket (this will be needed for turning the bag right side out at the end). Step 8 - Next pull together long sides of side piece and front & back pieces and stitch together. Repeat on with other side. 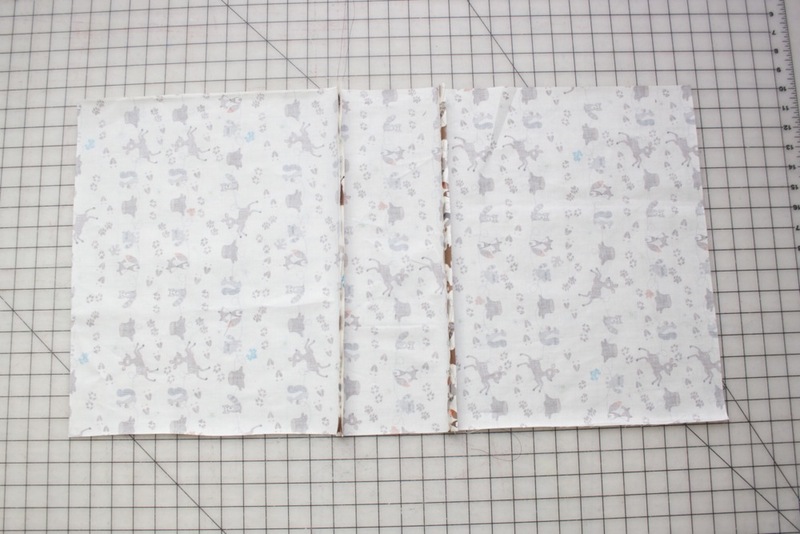 Do the same with lining pieces. Trim all the seam edges close to stitching. Step 9 - Take flap piece and measure down 4 inches from raw edge on outer fabric side and mark horizontally. I use such a big allowance so it's easier to position the flap when pinning it to the bag & it's easier to hold in place when stitching together. 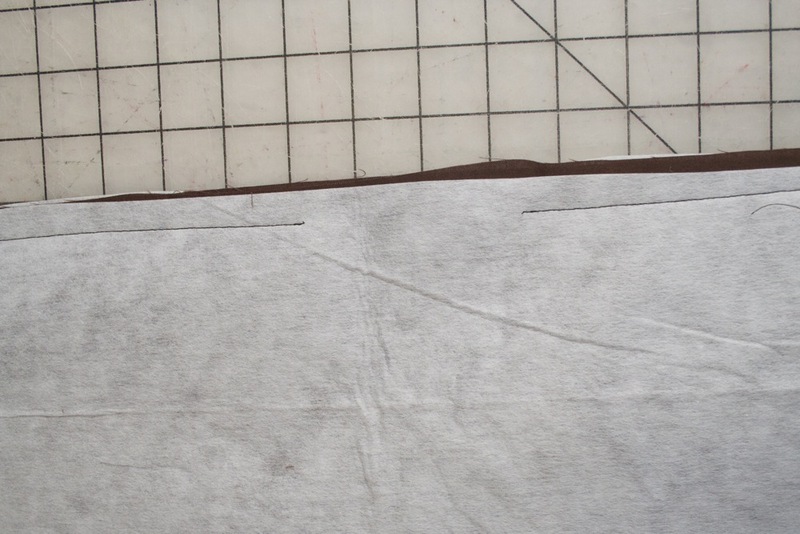 Step 10 - With the outer bag fabric turned wrong side out, pin together back side of outer bag with the flap along this newly drawn line. 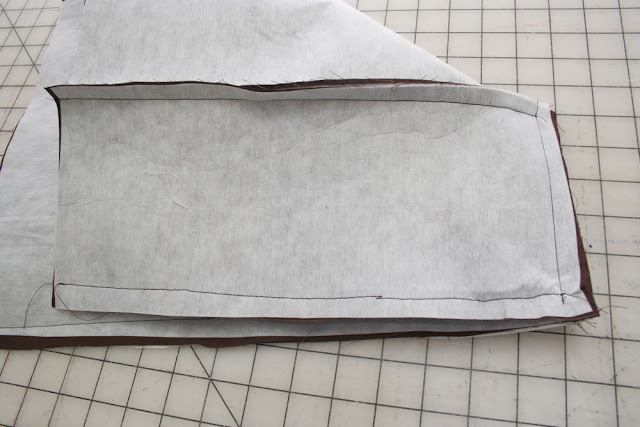 Then take the strap and, with the outer side of the strap facing the outer fabric of the bag sides, pin their raw edges together too. Step 13 - Pull bag right side out through the opening in the bottom of the lining. Smooth all corners into place and then hand stitch the opening closed. Now you're ready to tote in style!! great tutorial! I love the idea of laminate! I love the tutorial for making this bag.. A laminating bag is a must have for a mommy.. I really like the electronics cases and the messenger bag, and I'd use the beginner's half-square triangle quilt pattern to make them. Thank you for sharing! I HAVE to make the 2 block Christmas quilt! Glad everyone loves this tutorial - it's a great bag. Definitely worth making!! Looks great. Did you have any problems with your foot sewing with the laminated fabric? I've never sewed with it. I've heard some people use a teflon foot so as not to stick. I've sewn vinyl before and it stuck a bit. Not at all, since there was no sewing where the foot touched the laminated side (which makes this project ideal for someone new to using it). SO cute! I definitely need to make a new bag like this to hold all our "kid junk". They never quite seem big enough ; ) LOVE that fabric too! I'm just starting to make this bag, (super excited about it!) Did you trim off the 4 inch piece of the top flap after sewing it all together or does it just end up inside? Yay!! I trimmed it off (just to save bulk and weight). It was a lot easier to hold onto such a big section while piecing things together so that's why it's such a big "extra" bit! Excited to see your bag when it's finished!! Stephanie, check out one of my sponsors, Just Laminates (http://www.etsy.com/shop/Laminates). 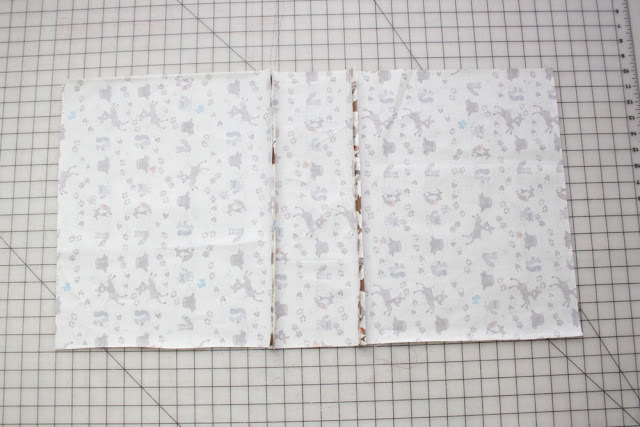 Her prices are under $15/yd and she's got an excellent selection of cute prints (and is super sweet too)! Fabulous bag - and I just love the fabric you used to make it with! Absolutely amazing! 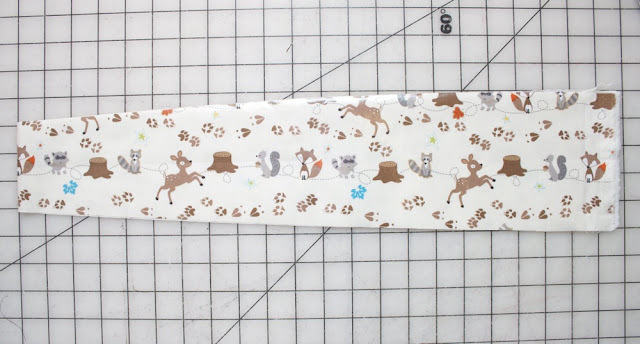 Although my babies are out of diapers and in to dances, I'm pinning your post in the hopes that I'll have a niece or nephew to make one for in the future! Silly me, it's a messenger bag...not a diaper bag. Well, in that case, I'll have to slate this project for this summer! Perfect for Back-to-school for my girls! Love it! I need a diaperbag pronto, so this if perfect! I'm featuring it on Topsy Turvy Tuesdays. thanks for linking up! 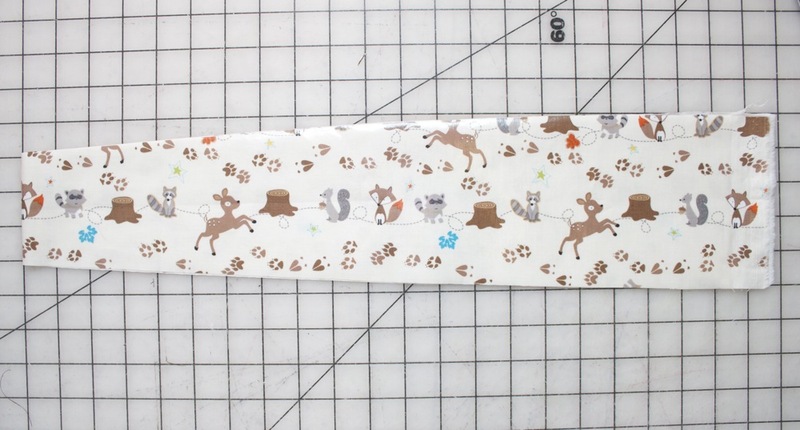 Yes, you could, you'd just have to stitch on the stabilizer instead of ironing it to the lining fabric. Everything will be a little stiffer to work with, but then you've got a wipe clean interior which is nice. Comprehensive tutorial and a great, all purpose bag. Love that it has pockets on the outside. 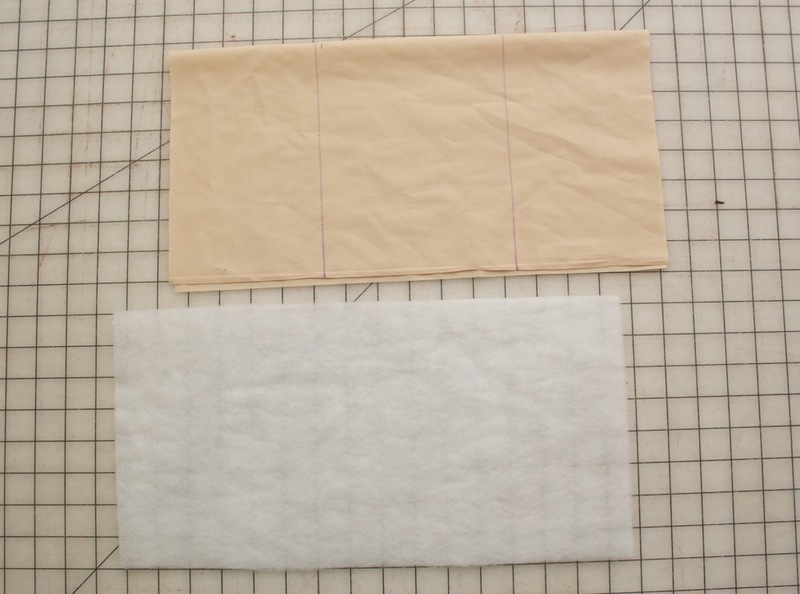 You've made sewing with laminate fabric sound easy!!! Thanks so much! It really isn't as scary as everyone thinks. Just a few tricks and it's easy. 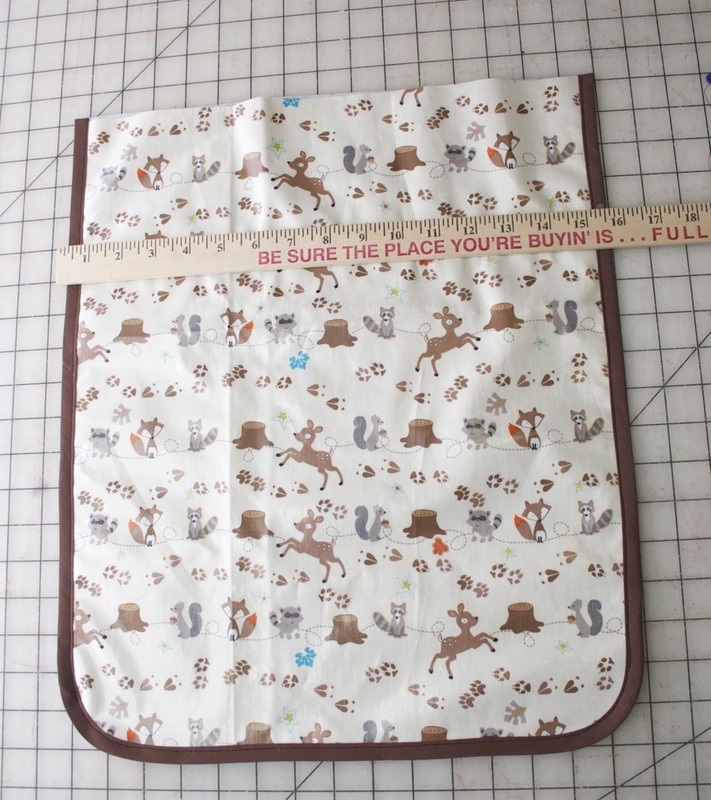 I have my tips & tricks for sewing with laminates under the CraftShare tab at the top of the page too. Hi there, I am very new to sewing so I may have a rather novice question. 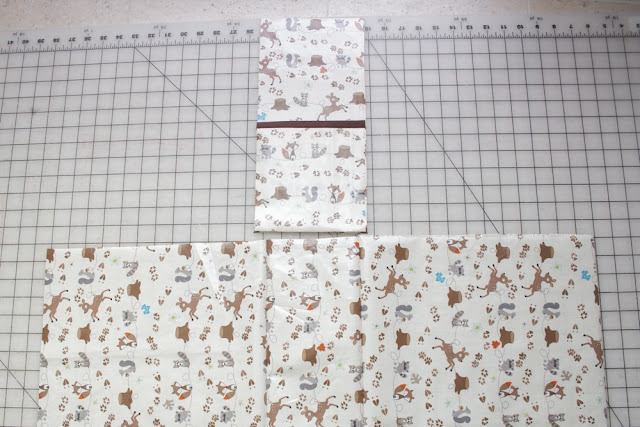 I have 1 yard of 42" wide laminated cotton fabric but I can't get all the pieces to fit on it. Is it possible or should I get some 52" or 58" wide fabric. 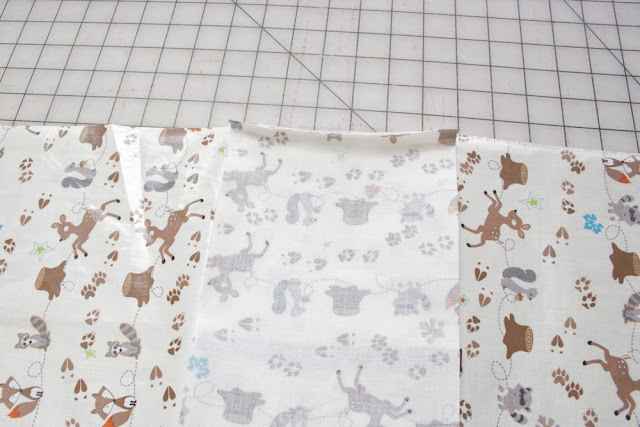 Laminated cotton usually comes 56-58 inches wide, so you'll probably need to get additional fabric if yours is just 42 inches wide - probably an extra 1/2yd. Just Laminates (http://www.etsy.com/shop/Laminates) has a great selection of laminates and indicates the width on each print. Hope that helps! Is it possible to add a magnetic rhinestone buckle to the front of the bag?? 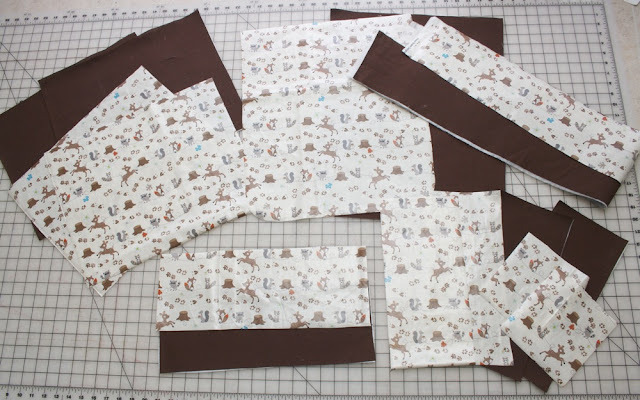 Would you do this while sewing it together or after it is done? I have never attached hardware before!! Great question! Yes you can. You can use any kind of hardware, but for most magnetic types you need to do it while sewing together and use some stabilizer around the closure area for extra strength (since it will be getting tugged on regularly). Most hardware is surprisingly easy to attach - just follow manufacturer's instructions. Thanks & yours is very nice too. I'd love for you to link it to my current Craftastic Link Party. That'll be great!! Thanks! How do I go about doing that? On starting on Sunday night the newest Craftastic Monday Link Party will begin and remain open until Friday night. You'll be able to add a link & image of your post to it. You could use low-loft or traditional weight batting. It's just for padding the strap and inner pocket, so any type should work. I've never had any difficulty sewing with polyester batting and actually prefer the loft of it to cotton on projects like this. I'm not sure I understand your question, but the strap is put in-between the inner and outer (see Step 10), so it is sewn inside the layers and then turned out when the bag is pulled right side out. Is there an actual pattern anywhere? I'm being dense and can't seem to find it! I love the bag and your tutorial is so detailed that I can't wait to make the bag! However I'm no good at making my own patterns at all! Your help is much appreciated! Nevermind! I was being really dense! Are all the pieces just rectangles as described in the "pieces to cut" list?! I think I can manage to make a pattern from that! God bless! You're sharing such an excellent diy project. How would I add a closure zipper at the top?